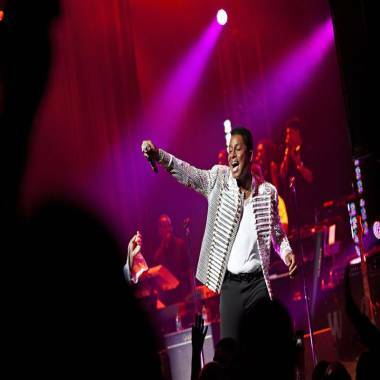 Jermaine Jackson, now Jacksun, in 2012. Pop singer Jermaine Jackson officially has changed his name to Jermaine Jacksun for "artistic reasons," Los Angeles court officials said on Friday. The Jackson 5 member and older brother of pop stars Michael and Janet Jackson filed a petition to change his name in Los Angeles Superior Court in November 2012. The change became official on Wednesday after a hearing, a court spokeswoman said. The 58-year-old singer, who is on tour in Europe with his three surviving brothers, Jackie, Marlon and Tito, did not attend. "If Prince and P Diddy can do it, why can't and shouldn't Jermaine?" Jacksun's attorney, Bret D. Lewis, said when the petition originally was filed. Jermaine Jackson unofficially adopted the name Mohammad Abdul Aziz after converting to Islam in 1989.